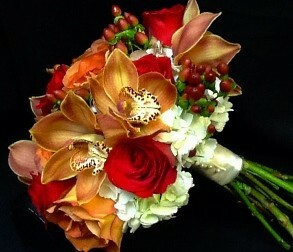 We're the place where flowers are uniquely designed and affordably priced. I value your orders and stand behind all my designs. Service is what builds the house and I will go the extra mile to serve you. Many designs can be found on my site but give me a little information and I will create a custom design for your special occasion. Each and every order (great or small) will be treated with the same care that I would want to receive myself. 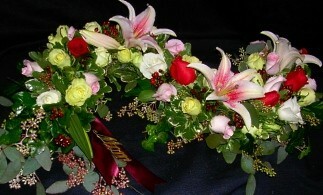 Owner and head designer is on sight to take your orders and custom design your floral arrangements. We're a local Claremont, New Hampshire florist with a lovely variety of fresh flowers and creative gift ideas to suit any style or budget. We hope you enjoy your online shopping experience with secure 24-hour ordering right at your fingertips. 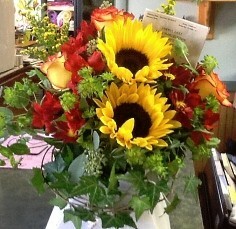 If preferred, you may call us to place orders direct at 603-542-8686. 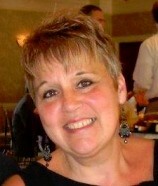 Memorial and sympathy tributes are my specialty; with a little information about your loved one I will skillfully craft your tribute for you. 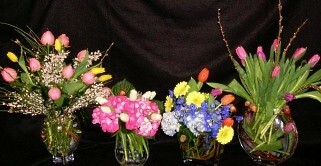 You can always depend on our courteous staff when you need to send flowers for the funeral of a friend or loved one. We will design and deliver a funeral arrangement that beautifully conveys your feelings of sympathy and serves as a lovely tribute to the deceased. 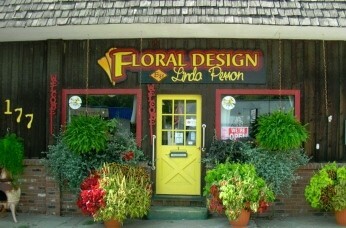 Call Floral Designs by Linda Perron in advance at 603-542-8686 to schedule a consultation. Shop from our Green Plants, Blooming Plants, Dish Gardens for a gift that adds life to any room or office. We also offer European Dish Gardens and Spring Bulb Gardens. Fruit Baskets, Gourmet Baskets, Junk Food Baskets, Gift Baskets, Baby Gifts, Candy & Chocolates, Gifts, Greeting Cards, Home Décor, Scented Candles, Custom Silk Flower Arrangements, Plush Stuffed Animals, Balloons and more! Thank you for visiting our website with flowers delivered fresh from your local Claremont, NH flower shop and convenient online ordering 24 hours a day!